I used Sally Hansen Professional Lavender Cloud as a base, with American Apparel Hassid for the black, L.A. Girl Army Green for the green, OPI Ginger Bells for the warm tan, Essie Foot Loose for the bright pink, Color Club Ms. Socialite for the darker magenta, Orly Gumdrop for the light turquoise, China Glaze Flyin' High for the darker turquoise, American Apparel Peacock for the dark teal, OPI Parlez Vous OPI? for the purple, and I think that's it. :-P (there were a lot!) I topped everything off with 2 coats of Seche Vite top coat. 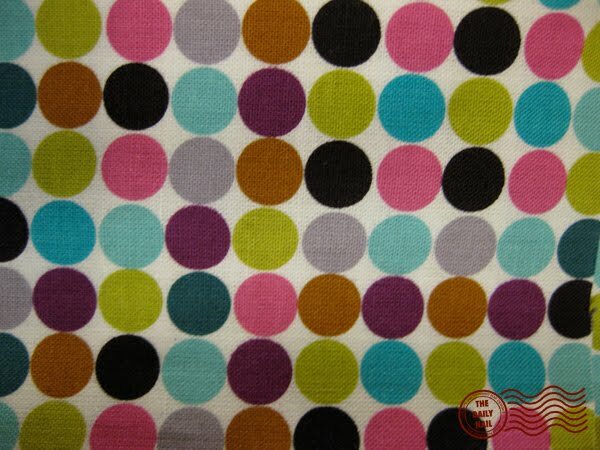 I think I've officially gone dotty. i hate you!! lol. u are so awesome and im so jealous! hahaha! SO cool. I love that Lavender Cloud and your dots are GREAT. I love dots!! this is even more beautiful than yesterday! I always love your manicures! Ditto Jamie K's comment - to the letter!! You do such a great job matching colors. Amazing. 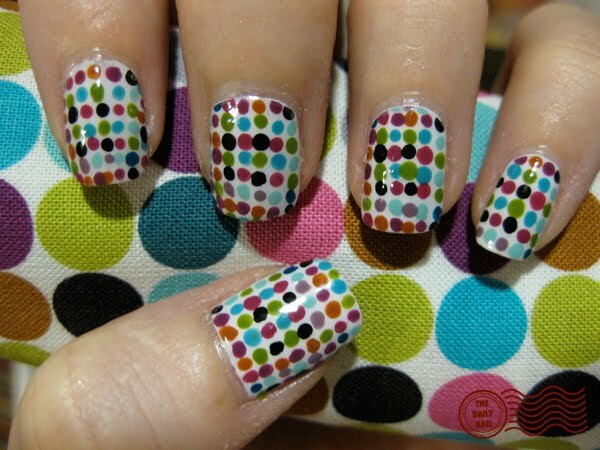 This reminds me of a mani I did to match a pair of polka dot galoshes. I'll post the pic on your FB page. Great job! what tool did you use to get the dots? WANT!! i would try this but i don't have the patience or the colours :(.. or the skill! i did this! :) thanks for the idea.. you are amazing! I have a question . You do your nail everyday ??? ?